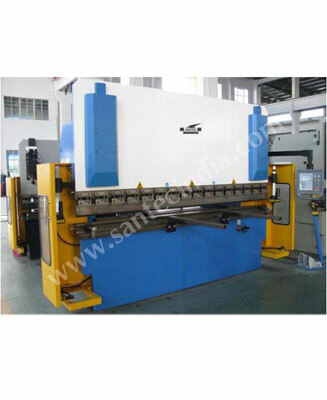 Santec Hydraulic Press Brakes are highly productive, accurate, and economical. 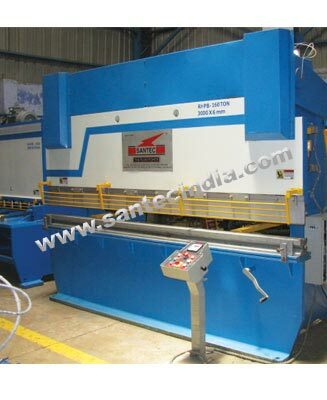 Through advanced design and construction, Santec offers quality Hydraulic Press Brakes that provide simplified and easily accessible controls for optimum operator efficiency and output. 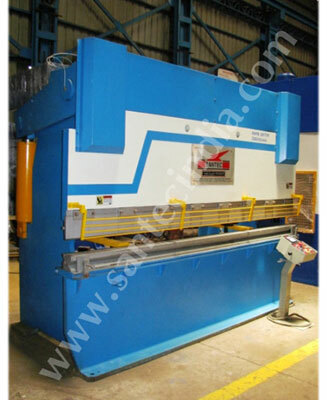 These press brakes are manufactured to high standards of lifetime durability and precision accuracy - and are backed by ONE -year parts warranty. 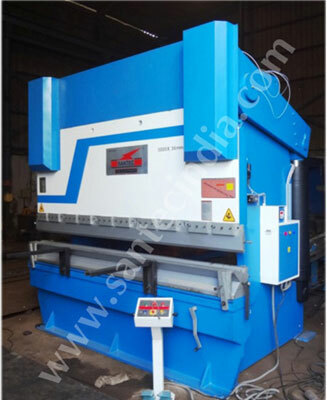 The versatile machine is known throughout the industry for exceptional value, and for years of dependable, low-maintenance service all over the world. Santec Press Brakes have different operational modes for operators' convenience, and least fatigue mode can be selected from the panel door mounted selector switch. Inch cycle : This mode is used for setting bed angle depth stroke. The ram movement (up down) can be controlled at any described position from foot switches. Auto cycles : The cycle (Approach-Pressing-Return) is continuously repeated once this cycle is selected. This mode is useful for continuous repetitive work where stroke length can be adjusted to suit the job and the operators speed and rhythm. Santec has dedicated team of engineers to provide cost-effective solutions for your special forming requirements. In many cases, They work directly with clients to offer custom design for special bending and forming needs. From utilization of numerous standard options to complete custom modifications of ram open heights, bed cap dimensions, throat depths and much more, Santec can accommodate your special application needs.